It was about five minutes until five when Coldwater pulled his grandmother’s Volvo station wagon onto jarring, narrow, brick-paved Morris Avenue. Despite it being late in the day, the sun still sat high in the sky. He parked the in the shadow of the 22nd Street overpass that bridges the railroad tracks and connects the north and south sides of downtown. A sign outside the door of Matthew’s Bar & Grill advertised that Thursday was always biker night, but today was Friday, Coldwater remembered. He paused a moment to process that. This pace of this week had been disorienting. The professor had been killed on Wednesday, only two nights ago. Thursday morning, he’d been sapped by Ponytail Manley and brought to Ashley Rose who tried to hire him to prove she was innocent of the killing. By Thursday night, Ashley Rose was dead, and earlier this afternoon, he’d found Ponytail’s body in an old house in rural Pickens County. Two nights ago, Joey Schmidt was gleefully mixing tiki drinks, and this afternoon, Joey was going to tell Coldwater about something he’d seen on Wednesday night, something that had disturbed him enough that he didn’t feel he could go to the police with it. Coldwater entered the cavernous dive bar, which resided in an old warehouse with high ceilings and was sparsely decorated with beer and liquor signage. A space had been made in the general seating area for a pool table that had not yet been delivered. An old, metal storage cabinet leaned oddly against the wall near the door. Through a door opposite the bar was a second barroom with a stage, used mainly for special events. Upstairs, there were two more barrooms, called M Bar and M-North. The deliriously enchanting smell of smoking meat wafted in from the kitchen. 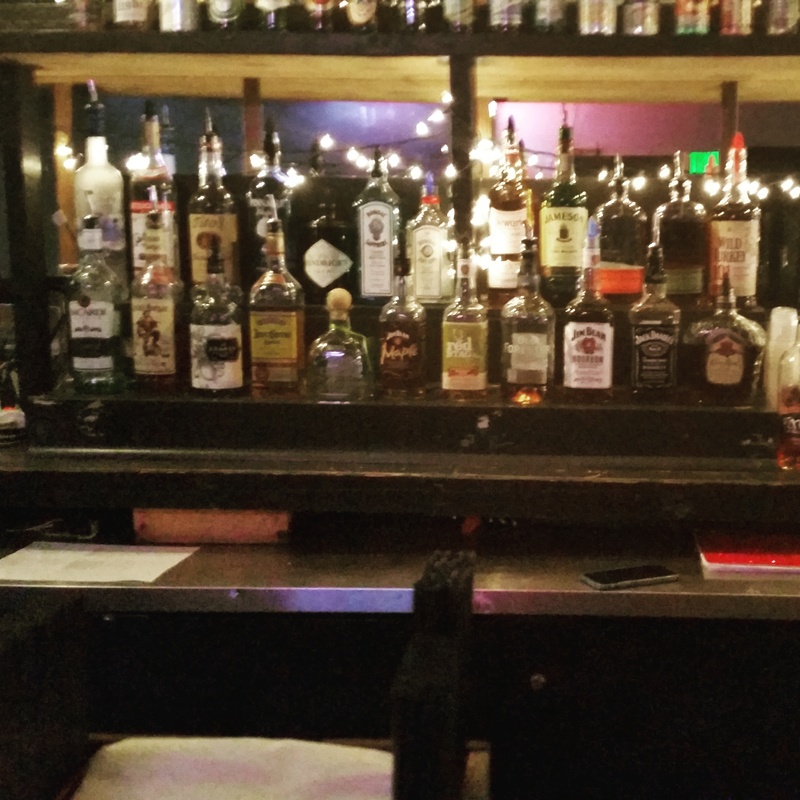 It had only been a couple of weeks since Zach Doss had re-opened the main downstairs bar after it had been closed for a few months, and the steel-gray paint was still fresh. The imposing, prematurely bald man behind the bar was Zach. Behind him were a dozen or so familiar call brands of liquor: Jack, Jim, Jose, etc. Coldwater shook hands with the big man and asked what was on special. “Both. I’m feeling patriotic,” Coldwater said. He took his beer and sat at the end of the bar. A minute later, Joey came in with his usually jaunty mustache looking a little on the droopy side. Coldwater didn’t feel the need to mention the third body to Joey, since he hadn’t yet told the police about it either. Zach came over with a plate full of wings, two plastic ramekins of sauce, and a handful of paper towels. Joey ordered another beer, and Coldwater seconded the motion. Coldwater worried his chin some more. They finished their beers and wings, and, though Joey made an attempt, Coldwater insisted on paying the tab. He and Joey left walking in opposite directions along the cobblestone street. It was almost six now, and the heat had become close to bearable. He decided to leave the station wagon where it was and walk the three blocks to his office, where he hadn’t checked in since he’d left there Thursday morning. Along the way, he passed Collins Bar and thought about going in to talk to Feizal, but changed his mind and walked on by, continuing up to his office. He went in through the south door, the room he always kept unlocked for clients who might want to wait for him. More than once, he’d found a drunk bum sleeping on the sofa in there, and he always just let them sleep. Tonight, there was nobody there, but someone had left a note for him.